Union County Senior Services can assist setting up services such as respite for caregivers as well as services for seniors such as personal care, homemaking, personal emergency response systems, utility and medication assistance and grocery shopping for home-bound seniors among others. These programs are provided on a sliding fee-scale and are funded by the National Family Caregiver and Title III Grants and the Union County Senior Services Sales Tax. 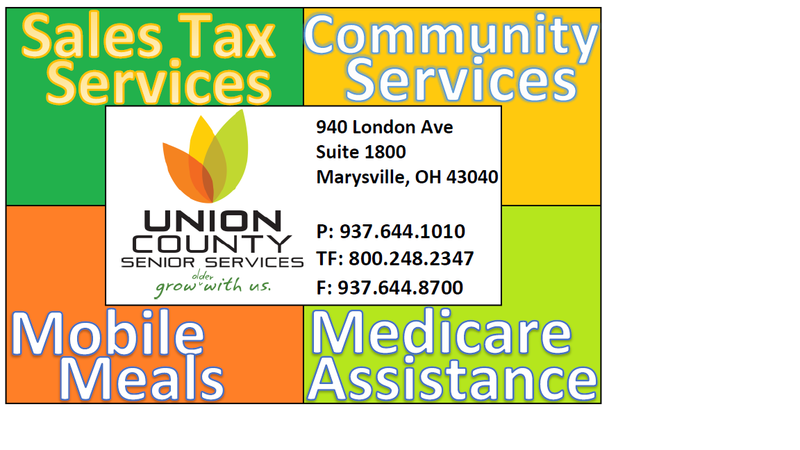 Union County, through Union County Senior Services, is now accepting applications for the years 2019-2020 from organizations that wish to provide services that will assist the senior population of Union County to reside safely in their homes. Services include Homemaking, Personal Care, Companion Visits, In Home Respite Care, Emergency Response Systems, Medication Dispensers and Durable Medical Equipment and Supplies. UCSS will accept proposals for the 2019-2020 contract cycle on a rolling basis until the next announcement. UCSS will issue the initial Notices of Award after November 1, 2018. Submit to: Union County Senior Services, 940 London Avenue, Suite 1800, Marysville, OH 43040 Attention: Kathleen Albanese. Union County reserves the right to contract with multiple organizations in a service category. Union County reserves the right to make awards throughout 2019-2020 depending upon the County‘s needs and availability of new providers in the community.